British designer Onkar Kular’s work investigates how contemporary design practice, its processes, methodologies and outputs, can be used as a medium to engage with and question understanding of cultural and popular issues. His work uses a range of different media, appropriate to the particular research project to include new objects, films, events, performances and installations, and is disseminated internationally through exhibitions, workshops, lectures, film festivals and publications. 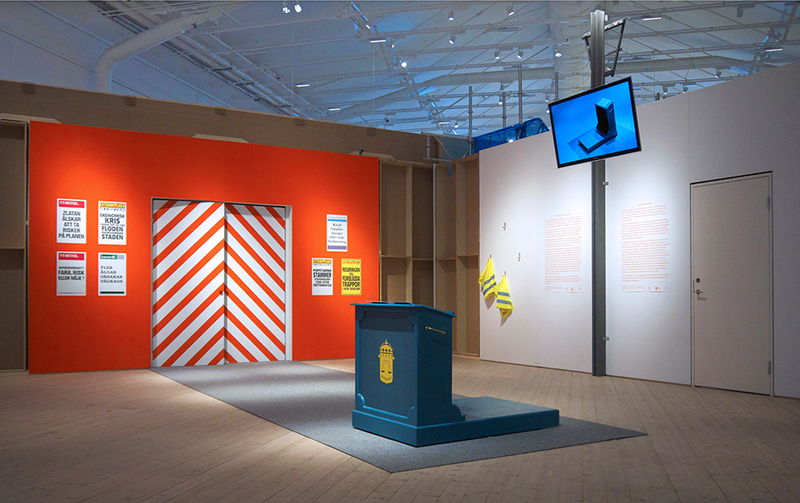 Recent exhibitions include I Cling To Virtue, with Noam Toran and Keith R. Jones, an installation at the Victoria & Albert Museum which presented a mixed-media collection of objects, narrative texts and videos that reveal the intricate trajectories of the Lövy Singh clan, a fictional East London family of mixed descent, and Risk Centre, a solo show at Arkitekturmuseet in Stockholm on constructed environments used for risk and safety education. In May 2014 Onkar Kular designed and curated The Citizens Archive of Pakistan together with Sanam Maher, bringing together a wealth of personal stories, memories and objects. Whether exploring the building of a nation, the drawing of a religious line, the voice of the collective or the experience of an individual, the items included a range of critical perspectives on Partition and considered what it means to revisit this history today.